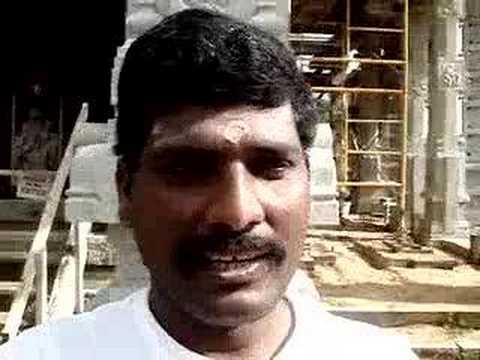 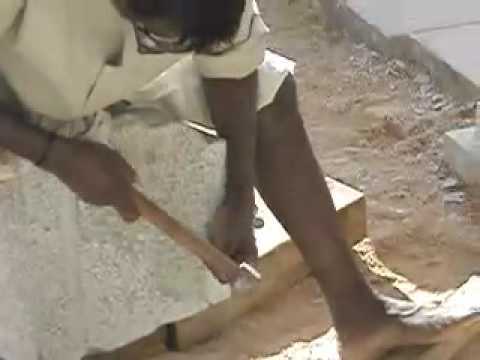 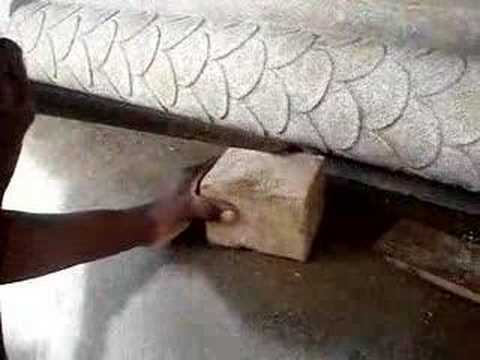 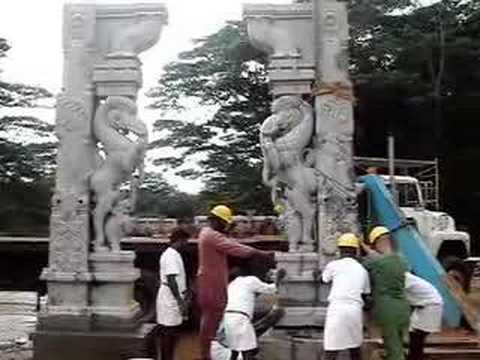 Iraivan Temple carver works on a stone. 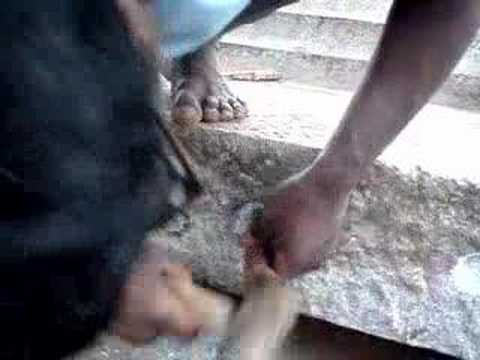 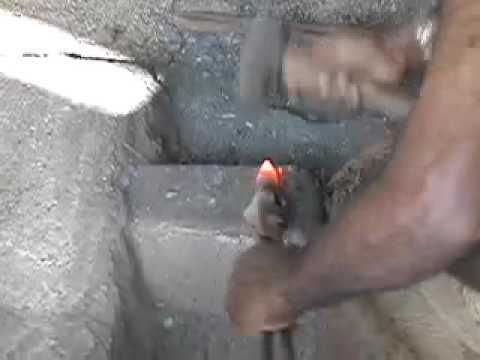 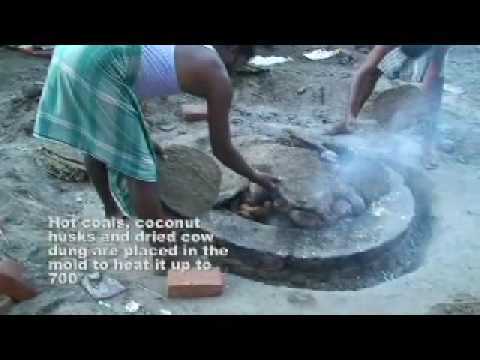 Iraivan Temple stone carvers sharpen their steel chisels for the day at the onsite forge. 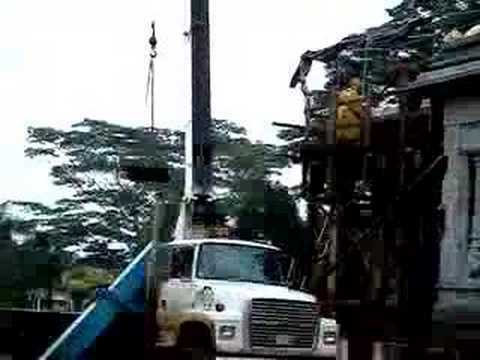 The silpis, or stone carvers, who are on Kauai island assembling the San Marga Iraivan Temple, introduce themselves.